Miss Jazmine Sullivan is an American R&B singer born April 9th, 1987 in Philadelphia, Pennsylvania, U.S. A brief timeline of some of Sullivan's musical accomplishments is enough to make any artist blush. At 11, she made her national television debut on Showtime at the Apollo, where she sang "Accept What God Allows". At 13, she was asked to sing at the birthday party for musical legend Stevie Wonder. A brief timeline of some of Sullivan's musical accomplishments is enough to make any artist blush. At 11, she made her national television debut on Showtime at the Apollo, where she sang "Accept What God Allows". At 13, she was asked to sing at the birthday party for musical legend Stevie Wonder. Of their meeting, she says, "When you meet Stevie Wonder, its a great feeling," before adding, "I was young though, so I didn't understand it until I got older. I started thinking like, 'Oh my God! I sang with Stevie Wonder when I was like 13.'" That was only the beginning. She began wowing audiences with her live sets in her hometown of Philadelphia at the popular Black Lily, where artists such as Jill Scott, Musiq, Kindred the Family Soul and Floetry performed before they became national recording acts. Shortly after her jaw-dropping performances, she was signed to Jive Records personally by the former president of the label, Clive Calder, where she began working on her debut album with the likes of heavyweight producers Missy Elliott, Timbaland and production duo Cool & Dre to name a few. While she awaited her current record deal (with Clive Davis' J Records), her name has been on background credits for Fantasia's "Free Yourself" and songwriting credits for two tracks off of Christina Milian's next album, including the Cool & Dre produced first single "Say I", which features Young Jeezy. Her debut single for J Records is entitled "Need U Bad" and has generated a lot of buzz, and has definitely amped the anticipation for her forthcoming album, for her longtime fans, and new converts alike. 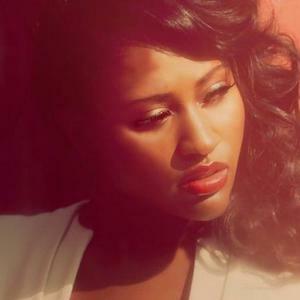 Contemporary R&B rising star Jazmine Sullivan spent several years learning the ropes of the recording industry before signing to J Records and making her solo recording debut in 2008 with "Need U Bad."